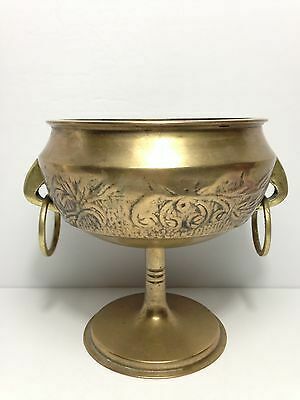 Persian Antique Brass Grail ! Excellent condition ! Seller: bpet1676 (226) 100%, Location: Tujunga, California, Ships to: Worldwide, Item: 163597559079 Persian Antique Brass Grail ! Excellent condition ! Rare to find ! it's a beauty ! Size = 6 inch tall ... 54 inch wide , without the handles ... 6 inch with the handles ! This antique item is in a Mint condition , No cracks or dents or damaged parts ! Final sale , No return accepted ! Condition: Excellent condition ! Popularity - 17 views, 0.4 views per day, 43 days on eBay. Good amount of views. 1 sold, 0 available. 17 views, 0.4 views per day, 43 days on eBay. Good amount of views. 1 sold, 0 available.